Meniere’s disease is a disorder of the inner ear that can cause episodes of vertigo, hearing loss, tinnitus, or a sensation of fullness in the affected ear. These episodes can last from 20 minutes up to as long as 4 hours. Typically, Meniere’s disease only affects one ear, and occurs between the ages of 20 and 50. This is a chronic condition, and each person is affected differently. Your doctor can help suggest strategies to treat and reduce symptoms. The causes of Meniere’s disease are not fully understood. It is theorized that an abnormal amount of fluid accumulating in the inner ear may be the culprit. Allergies and autoimmune disorders may also play a role in producing Meniere’s disease. It’s likely that Meniere’s disease is simply a combination of factors including improper fluid drainage, abnormal immune response, allergies, head trauma, viral infection, or genetics. 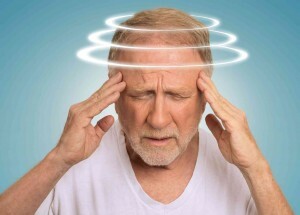 The most notable symptom of Meniere’s disease involves recurring episodes of vertigo. Vertigo is a spinning sensation that starts and stops without warning, and can last between 20 minutes to several hours. This can also result in nausea and vomiting. Hearing loss, tinnitus, and a sensation of fulness in the affected ear are also common symptoms. You should see a doctor if you’ve repeatedly experienced any one of these symptoms. As many of these symptoms can arise from other illnesses, you will want to get an accurate diagnosis to determine treatment. There is no definitive cure for Meniere’s disease, but it can be treated to help reduce the severity of the symptoms. However, it’s worth noting that there is no treatments for permanent hearing loss that results from Meniere’s disease. Your doctor may prescribe medications to take during vertigo episodes in order to reduce motion sickness and nausea. A hearing aid can also assist in dealing with hearing loss. In a small minority of Meniere’s disease patients, surgery may be necessary if vertigo attacks cannot be controlled by more conservative measures. This entry was posted on Friday, September 23rd, 2016 at 9:34 am. Both comments and pings are currently closed.